Multiple adjustment options combine with a unique and ingenious design specifically created for the ultimate in comfort to make this sleek air grid back leather office chair a standout choice. Great for use in your den, office, home office, computer room, or any room you desire, this beautiful leather office chair uses a color scheme designed to blend well with your favorite decor. Seat Height: 18 - 22.5"
Limited lifetime warranty from Office Star. 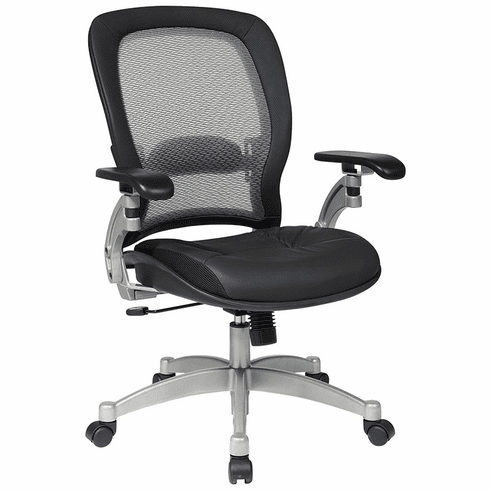 These mesh office chairs normally ship within 2-3 business days from our CA warehouse.